John Richmond was a distinguished physician who held several high offices in medicine: Professor and Dean of the medical school at the University of Sheffield, Senior Censor and Vice-President at the Royal College of Physicians of London and, between 1988–91, President of the Royal College of Physicians of Edinburgh. The son of a Scottish mining engineer he was educated at Doncaster Grammar School, excelling both academically and on the sports field. He elected to study medicine in Edinburgh, rejecting a place at St John’s College, Cambridge. It was the right choice as the Royal Infirmary had some outstanding clinical teachers in Derrick Dunlop, Stanley Davidson, James Learmonth, David Henderson and Rae Gilchrist, who made a lasting impression on the young Richmond. He gained a ‘blue’ in diving as an undergraduate and qualified with distinction in July 1948, one week after the inception of the National Health Service. After a period as a resident house officer at the Deaconess Hospital, later to become the Headquarters of Lothian Health, he was called up and spent the greatest part of his National Service as Medical Officer to the 1st Nyasaland Battalion of the King’s African Rifles based in Lusaka, Northern Rhodesia. It was there that he met his wife, Jenny Nicol. After demobilisation there followed an unexpected spell in general practice in Dumfriesshire as a result of an uncle’s illness, and a few months as a senior house officer in medicine in Kettering before returning to the Royal Infirmary in 1953 where he was soon taken under the wing of Professor (later Sir) Stanley Davidson. He was encouraged to develop an interest in haematology and oncology and spent a year as a Fulbright Scholar in New York at the Memorial Sloan Kettering Cancer Center, becoming a Senior Lecturer in Medicine and Honorary Consultant Physician in 1963. 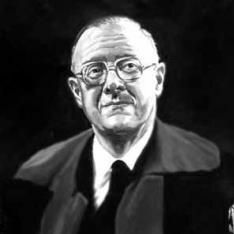 When accepting the Chair in Sheffield in 1973, John Richmond was one of the last of the professors of medicine appointed on the basis of all-round excellence in clinical practice, teaching, research and administration rather than because of any potential to attract large research grants. His own research, principally in the field of disorders of the spleen, was very significant. When in Sheffield he became interested in postgraduate medical education and examinations at the Royal College of Physicians of London and became Chairman of the Examining Board for the MRCP(UK). He was unique in having held such high offices in a sister college when he was elected as President of the Royal College of Physicians of Edinburgh in 1988. About half of the Fellows of the Edinburgh College live and work overseas, mainly in the British Commonwealth, and John Richmond and his wife were outstanding ambassadors. He never ceased to be impressed by the global influence of Scottish medicine with its emphasis on a good history and clinical examination in reaching a diagnosis. It gave him no pleasure to have foreseen the problems in training for young doctors before the European Working Time Directive was implemented. He was appointed CBE for services to Medicine in 1993. Ronald (Ronnie) Foote Robertson was educated at Perth Academy where he was dux, and at the Edinburgh University medical school where he graduated in 1945 with honours and was awarded the Ettles Scholarship and the Leslie Gold Medal as the most distinguished student of his year. He became clinical tutor in the Edinburgh Royal Infirmary, where he soon acquired an impressive reputation for his teaching and clinical skills. He was awarded the degree of MD with high commendation in 1953. In the 1950s competition for consultant posts was intense and Robertson spent just over ten years as clinical tutor/senior registrar. As Chairman of the SE Scotland Hospital junior staff group he worked tirelessly to improve service conditions and job security of trainees, for whom he was an eloquent and effective spokesman, an activity which may have harmed his own career prospects but which earned the gratitude of his peers. His appointment as consultant physician to the Deaconess and Leith Hospitals saw his reputation as a sagacious clinician and as an inspiring teacher reach even greater heights. A combination of professional excellence and a warm genial personality made him universally popular, especially with patients who found in him a clinician who inspired total confidence. He relished the social occasions at these small hospitals such as the Christmas Day festivities at the Deaconess where he featured prominently in the consultants’ wheelchair race along the Pleasance and the augmented sixteensome reels in the hospital courtyard. His appointment in 1976 as consultant physician to the Royal Infirmary was an indication of the esteem in which he was held by his colleagues as was the large number of doctors who consulted him for advice about their own health problems or those of their families. Robertson became FRCPE in 1953 and he gave superb service to the College over the next 30 years. 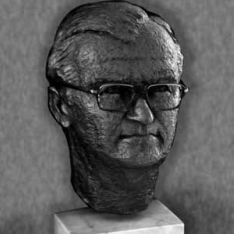 His presidency during 1976–79 saw an impressive enhancement of College prestige and influence under his dynamic leadership. His high professional standing was further recognised by appointment as Physician to the Queen in Scotland, his appointment as CBE in 1980 and his Presidency of the British Medical Association in 1983–84. He went on to become a very effective chairman of the Joint Committee on Higher Medical Training (JCHMT) of the three British Royal Colleges of Physicians. Between 1977 and 1989 he received the Honorary Fellowship of seven Colleges and Academies of Medicine and many invitations to give prestigious lectures in the British Isles and overseas. Robertson’s own recreational interests were fishing and curling, both of which he pursued with enthusiasm and considerable proficiency. He greatly enjoyed the conviviality of medico-social life in Edinburgh and was a polished and highly entertaining after-dinner speaker. He cultivated a rather solemn and portentous style in recounting hilarious and somewhat irreverent anecdotes and reminiscences often featuring famous Edinburgh medical personalities and usually including choice items from his huge repertoire of Scottish tales, jokes and comic verses. Robertson was a superb raconteur and a fervent connoisseur of literary humour with a special taste for O Henry, Dorothy Parker, Damon Runyon, PG Wodehouse and Saki but his favourite was the Canadian academic and humourist Stephen Leacock to whom he paid a special tribute in a sparkling discourse on the nature of humour which he gave as Chairman of the Aesculapian Club Dinner in March 1989. The oration entitled ‘the Humours of Harvey’ which he gave as the Harveian President in June 1986 was another tour-de-force in which wit and scholarship were delightfully combined. Over the years Robertson’s teaching was hugely appreciated by overseas-trained doctors attending courses in Edinburgh and as College Overseas Postgraduate Director he was able to place many of them in Scottish hospital training posts. His friendships with those doctors were renewed and strengthened when he met them during Presidential visits to medical schools in many different parts of the world. He was probably better known overseas than any other Edinburgh physician of his time and wherever he travelled he was cordially welcomed by Fellows who had experienced not only his teaching but also the warm hospitality of his home. Ronnie’s Presidential portrait, which hangs in the College, is a good likeness in which his wisdom, his humour and his kindliness have been admirably captured. It is a fitting memorial to a great President, a caring compassionate doctor, a brilliant teacher and a good, kind, gentle man. William Russell was born at Douglas, Isle of Man, where his father, a native of Wick, served as an officer controlling fisheries. 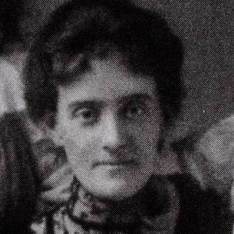 His mother, née McPhail, also hailed from Caithness. He studied medicine at Edinburgh, qualifying MD, a gold medallist, in 1875, four years before the opening of the new (Victorian) Royal Infirmary buildings. In 1894, at 42, he married Beatrice Ritchie, one of his pupils in the extramural school. They had six children, four of whom qualified in medicine. A son (Ivan) died in infancy of ‘surgical’ tuberculosis: the pandemic of tuberculous mastitis in its urban cows had made Edinburgh the world capital of surgical (bovine) tuberculosis before the 1914 war. Their third daughter, who went to Russia as a relief worker and married a White Russian, emigrated to Canada, where she died in the 1960s or 70s. William Russell’s early publications dealt with interesting case histories, the nature of heart murmurs, successful treatment of empyema by aspirations. In his 1885 lecture on pathology he refers to his ‘great teacher, Lister’, and the importance of Koch’s new bacteriology; in 1892 he spent some time in Koch’s domain in Berlin to study a cholera epidemic. In 1890 his experience of pathology, alongside clinical medicine, made him publish a paper on ‘a characteristic organism of cancer . . . Fuchsine bodies . . . a yeast-like fungus in 43 out of 45 cases . . .’, and reverted to this in The Lancet in 1899. Russell’s Fuchsine bodies were accepted into the literature of pathology, but were interpreted otherwise after his death, by PAS staining etc., as polysaccharide containing inclusion bodies in the round cell infiltrates at the periphery of malignant tumours, in plasmacytomas and chronic granulomas. The early years of the century brought numerous papers by him on blood pressure, arterial constriction, on peripheral resistance, and on the relationship of arterial ‘hypermyotonia’ and spasm to the eventual emergence of arteriosclerosis. He would have approved of the later demonstration of spasm by angiography, and of modern investigations of the arterial wall, where he had groped blindly by traditional palpation of the pulse. The stomach seems to have been his other main clinical interest, viz. papers on acid secretion, on pyloric stenosis and the use of X-rays in the diagnosis of stomach cancer. In retrospect, it is easy to belittle the limited therapeutics of the time, and the reliance placed on changes in diet, even in acute vascular events. In academic politics he was an early protagonist of women in medicine; he taught at the women’s schools, and was the first ‘chief’ to open his wards to them at the Royal Infirmary before the First World War. In a 1901 paper he extolled the extramural school of the Royal Colleges as the best training ground for professors and lecturers in the Empire, no less than 50 at that time, despite all lack of endowments. It is perhaps surprising that Edinburgh University then made him the first Moncrieff Arnott professor of clinical medicine in 1913. He was elected President of the Royal College of Physicians of Edinburgh in 1916, but declined re-election in 1918 on account of ill health. He was much concerned with the social dimensions of medicine, and opened a debate at the College on Lloyd George’s National Insurance Act of 1912. When he became President in 1916 the Great War dominated the scene, and during his presidency the College agitated for the proper care of disabled soldiers. It also supported plans for a Ministry of Health, but not until after the end of the war. He initiated constitutional changes to allow women to become members of the College. Russell vacated his chair in 1919. In 1921, in his presidential address to the Caledonian Medical Society, he welcomed social progress seen during his own lifetime, referring back to 50 years before his birth when Scottish miners had still been serfs who were liable to be sold with their coal mine. Despite the disasters of 1914–18, he remained politically optimistic and put his faith in the League of Nations in his last book which he published, aged 80, in 1932. In this work, Old Beliefs and New Knowledge, he wrote of his religious difficulties, of the need to purge the Old Testament and accommodate modern archaeology and science in a non-fundamentalist way. His daughter-in-law recalls him as a little remote, but as a very likeable man who was not an obsessive churchgoer, but who practised his Christianity by supporting ‘lame ducks’ and entertaining them with his wife at their house. 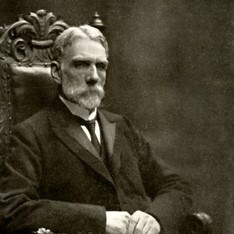 His obituarist Edwin Bramwell, a close friend and his successor in the chair and the College presidency, described Russell as ‘somewhat egotistical at times . . . an attractive trait, for one never knew whether or not he was laughing at himself’. He died in 1940 after two years of dementia. His daughter Helen wrote at the end of her life ‘. . . my father had a streak of that terrible thing, love which is not blind’. In 1880, Russell was appointed late house physician and pathologist, General Hospital, Wolverhampton. In 1882, Russell was appointed honorary physician, Carlisle Dispensary. In 1885, Russell was made lecturer on pathology, School of Medicine, Edinburgh. In 1890, he was appointed pathologist, Royal Infirmary, Edinburgh. Russell was made assistant physician at the Royal Infirmary in 1892. In 1908, he was appointed physician and lecturer on clinical medicine at the Royal Infirmary. In 1913, he was appointed Moncrieff Arnott professor of clinical medicine. Russell was president of the Royal College of Physicians of Edinburgh from 1916 to 1918. Russell was made emeritus professor in 1919. Russell wrote extensively on blood pressure, arterial constriction, peripheral resistance etc. John Rutherford was born on 1 August 1695 to John Rutherford, a minister in Selkirkshire. He enrolled at the University of Edinburgh in 1709 and studied an ordinary arts course. Rutherford was apprenticed to Alexander Nesbit, an Edinburgh surgeon, until 1716. Rutherford moved to London and attended various hospitals, studying anatomy and surgery. From London, Rutherford travelled to Leiden where he studied under Boerhaave. He obtained his MD from Rheims on 31 July 1719 before travelling to Paris. 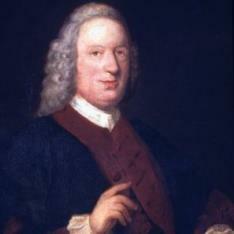 In 1720, Rutherford returned to Britain and settled in Edinburgh in 1721. Together with other eminent physicians, Rutherford helped establish a laboratory for the preparation of compound medicine. He also taught the rudiments of chemistry and lectured on other branches of physic, based on the teachings of Boerhaave. On 9 February 1726, he was appointed professor at the University of Edinburgh. Rutherford had also been elected chair of the practice of physic. Rutherford was the first to pioneer clinical teaching of medicine at Edinburgh, and was the first in Britain to do so. In 1748, Rutherford began giving clinical lectures at the Royal Infirmary. He encouraged his students to bring patients to him and then would make a diagnosis and prescribe a course of treatment in the presence of his class. This was so innovative and successful that the number of students increased rapidly. Rutherford was married twice. The daughter from his first marriage, Anne, married Walter Scott, and their son was Sir Walter Scott, eminent author. Rutherford’s second marriage produced Daniel Rutherford, who discovered nitrogen. Rutherford died in Edinburgh in 1779 and was buried in Greyfriars kirkyard. Rutherford was appointed to the chair of the practice of physic at Edinburgh University in 1724. He was president of the Royal College of Physicians of Edinburgh from 1752 to 1756. Daniel Rutherford was born in Edinburgh on 3 November 1749 to Dr John Rutherford. He studied medicine at the University of Edinburgh under William Cullen and Joseph Black. 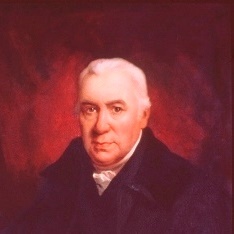 Rutherford obtained his MD in 1772. His dissertation, titled “De aere fixo dicto aut mephitico,” established a distinction between carbonic acid gas and nitrogen. Rutherford is most famous for his discovery of the isolation of nitrogen and his inaugural dissertation. After the publication of his dissertation and completion of studies, Rutherford travelled to France in 1773 and Italy. Rutherford returned to Edinburgh in 1775 where he set up a private practice. Rutherford had considerable involvement in the Royal College of Physicians of Edinburgh, becoming licentiate, fellow and president. (see below) He also acted as secretary of the College for eleven years and censor for six. In 1786, Rutherford was appointed Professor of Botany and keeper of the Royal Botanic Gardens. In 1791, Rutherford succeeded Henry Cullen as physician in ordinary to the Royal Infirmary where he delivered clinical lectures in tandem with Andrew Duncan and Francis Home. Furthermore, Rutherford was the first Professor of Practice of Physic at the University of Edinburgh and played a significant role in the development of clinical teaching at the university’s medical school. Rutherford was the uncle of novelist Sir Walter Scott. He was also a member of the Aesculapian, Harveian, and Gymnastics clubs. He died on 15 November 1819 in Edinburgh. Rutherford was president of the Royal College of Physicians of Edinburgh from 1 December 1796 to 5 December 1798. On 1 December 1786 Rutherford succeeded John Hope as Professor of Botany in the university and keeper of the Royal Botanic Garden at Edinburgh. In 1788, Rutherford was elected fellow of the Philosophical (afterwards the Royal) Society of Edinburgh. In 1796, Rutherford was elected fellow of the Linnean Society.